The site was formerly home to an old parking garage that was demolished some time ago. Recent photos from above and around the development show the scope of the current progress. 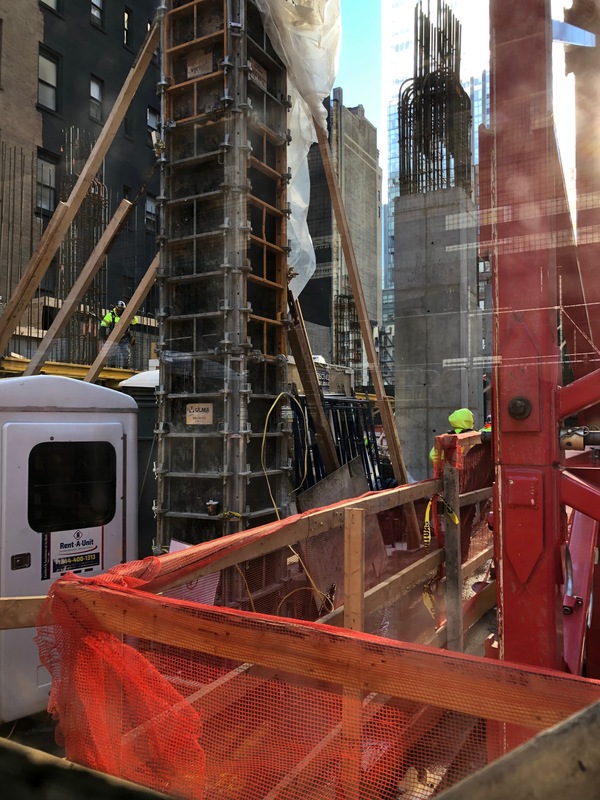 There is a tall construction crane fully operating on location, and a number of workers, who are putting together the large walls and columns at ground level. Rebar and cast-in-place concrete are seen throughout the whole property, and should grow higher in no time. Looking at the rendering shown in the poster on the green construction fence, the development appears to have a wide front entrance with a canopy. Spanning floors two to four are blank panels designed to hide the parking garage levels. 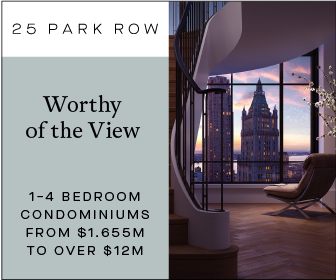 Depicted with the ribbon window in the rendering, the fifth floor will house a restaurant facing West 47th Street. This will sit underneath the building’s main setback. 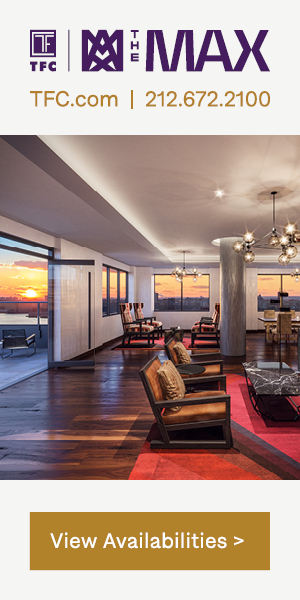 The hotel portion will start on the sixth floor, which contains the first three rooms. 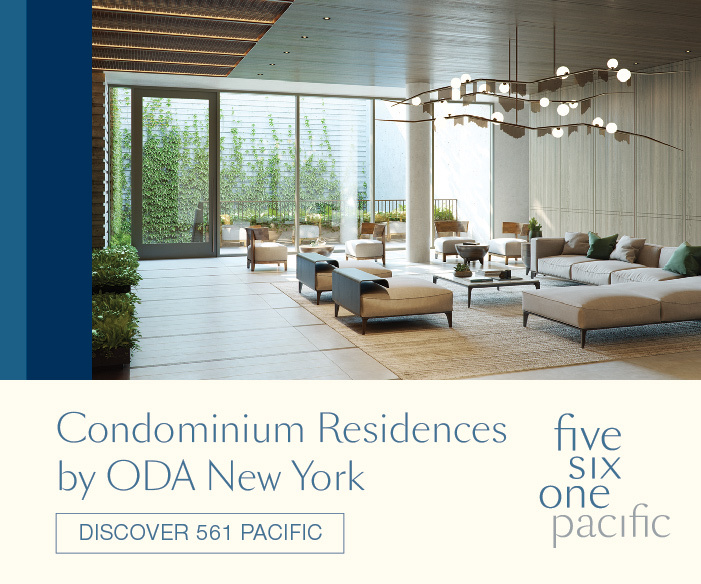 Floors seven through twenty-six will have about 17 rooms each, and are shown to be enclosed in a uniform facade of glass windows all the way to the roof parapet. 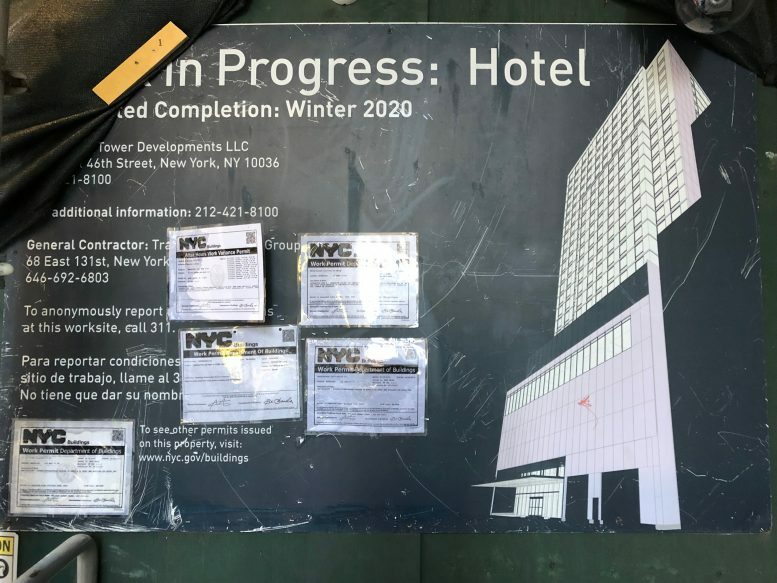 According to the poster on site, completion of the building will be in winter 2020. 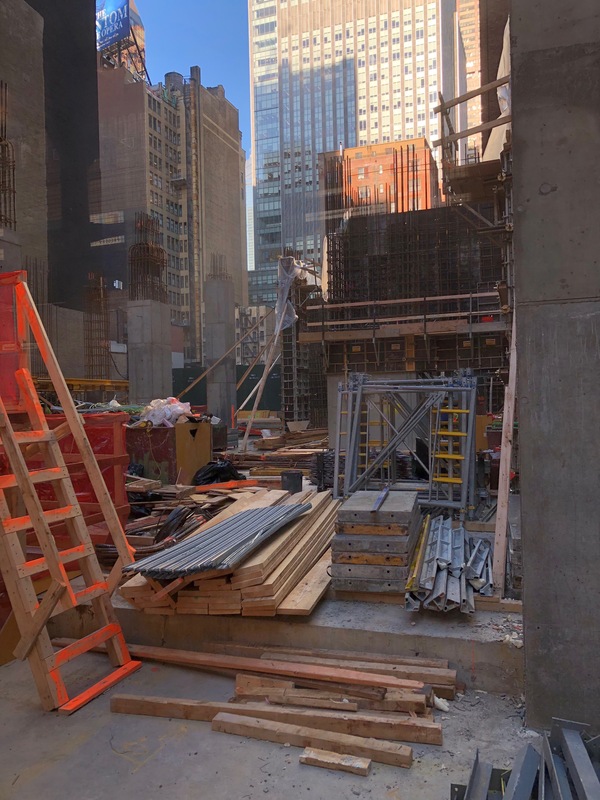 2 Comments on "145 West 47th Street Gets Off The Ground, Set to Become Another Times Square Hotel"
What’s this red construction crane is building for??? 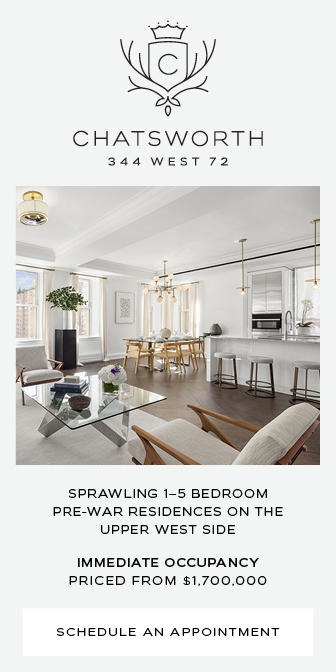 147 West 47 street have had no updates in Google search. 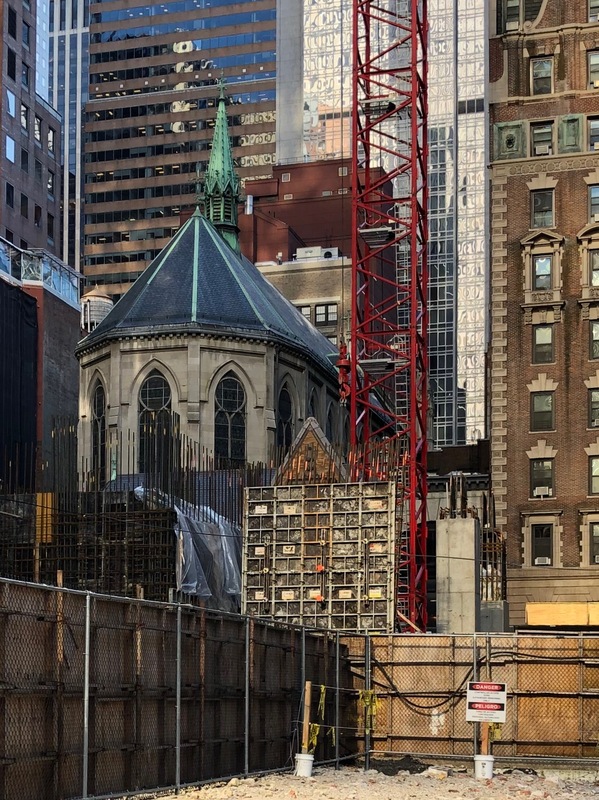 And 145 West 47 street is too low to have Construction Tower Crane like this, unless this is a complex building with massive podium what requiring heavy steel columns and frame for it. But for concrete skinny building in NYC less than 40 floors usually not required a tower crane, they used power pump methods to concrete up frame of building, 100s highrises up to 400 feet height constructed in NYC without tower cranes, if they are skinny and without complex podium, like these concrete framed hotels in West 38-40s streets south of PABT. 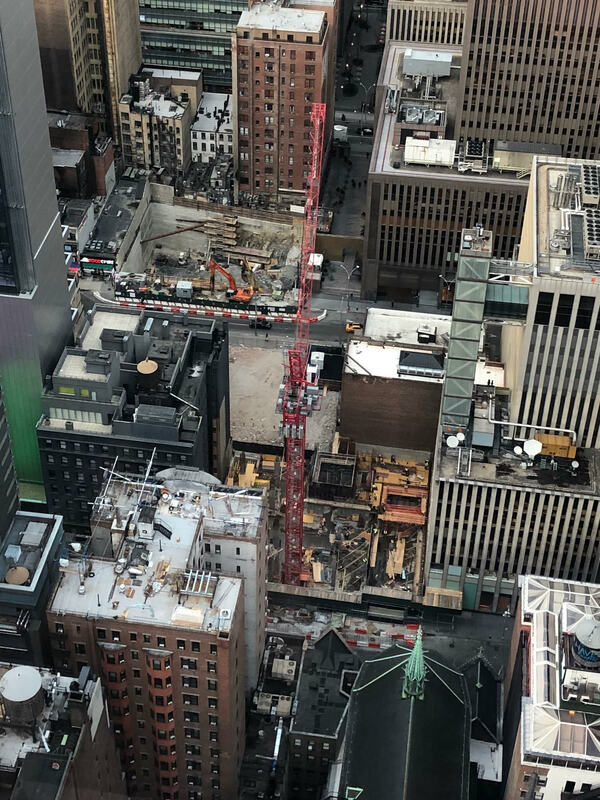 I think this Red Tower Crane for parking and restaurant podium what is 5 floors and making this hotel complex straight thru passages between 47th and 48th streets. 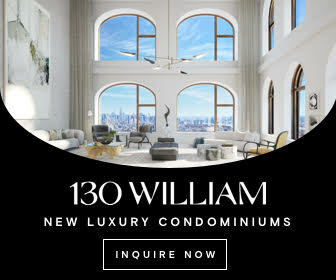 I found no information about 147 West 47th Street and other article about next block Hard Rock Hotel said it was red crane from 145 West 47th Street, and this information maybe correct since in this case 27 story Hotel will be sprawling complex between two streets irregularly sized midblock property. And definitely required a tower crane to built massive 5 story high podium for parking garage and restaurant floor.